The boys from KGP have just gotten us the first shots of the interior of the new entry-level Baby Rolls, or RR4. The shots show a car with typical Rolls Royce style, but at a more-Financiapocalypse-like price of between $200,000 and $250,000. This makes sense as the Rolls Royce RR4 is set to be slated between parent company BMW's 2009 BMW 7-series and the top-of-the-line Rolls Royce Phantom, with parts from the former and the style of the latter. 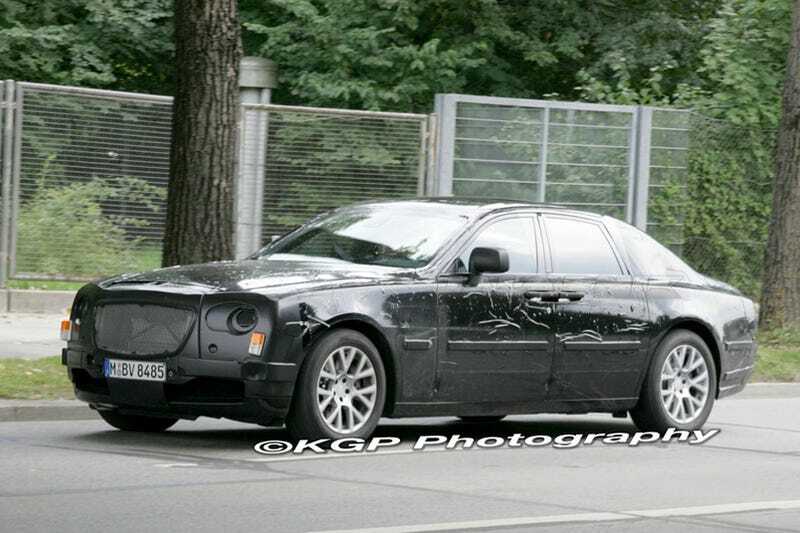 The new exterior photos also give us a more clear picture of the curvier shape and sleeker profile of the new Rolls Royce. Just use your imagination to add the gigantic chrome grille. More details in the spy report below the jump.